Overall length: (S922BF) 150mm. (S1122BF) 225mm. Suitable for thick metal plates (3-8mm) and solid pipes/profiles (S922BF) diameter 10-100mm. (S1122BF) diameter 10-175mm. 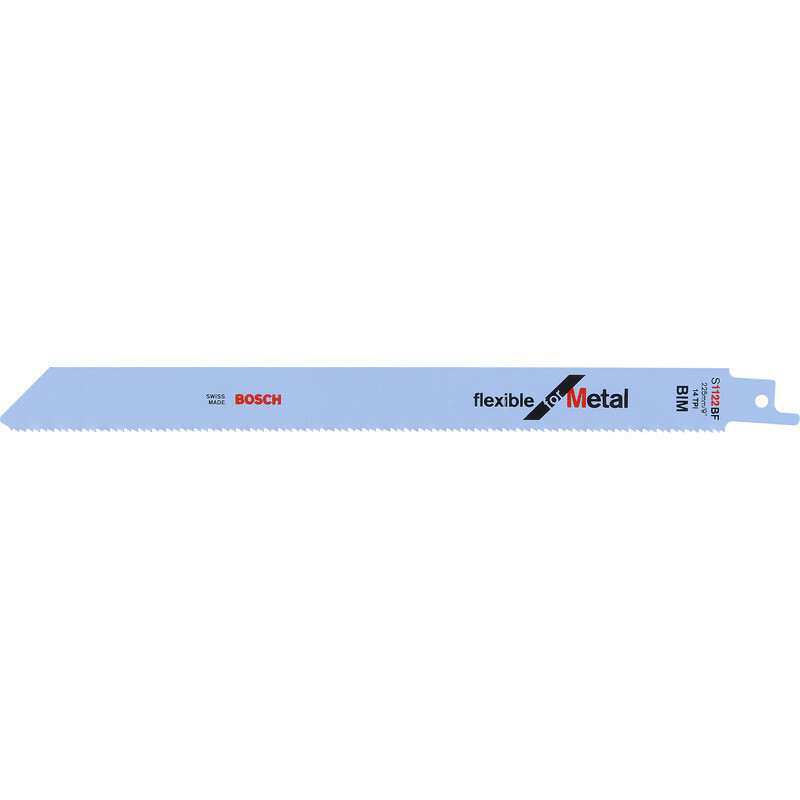 Bosch Sabre Saw Blade Metal S1122BF (5 Pack) is rated 5.0 out of 5 by 2. Rated 5 out of 5 by Joint painter 99 from Excellent quality flexible saw blades Bought to cut HT Bolts with limited access. The flexible nature of this product meant I could cut without being in direct line with the cutting point and without breaking a blade.